Simon Flowers is a Principal of LBW Business + Wealth Advisors dealing with Taxation, business advisory and superannuation matters. He is a fellow of CPA Australia, Chartered Tax Advisor with TIA, Affiliate member of CNAAZ, Member of NTAA and an Authorised Representative of Lonsdale Financial Group Ltd. Simon has been a Principal of LBW for over 10 years and prior to joining LBW was a manager at PriceWaterhouseCoopers in Melbourne. Simon has been involved in the judging of the Geelong Business Excellence Awards for the past 11 years (5 as Chairman of the judging panel). He has also been a member of CPA Victorian Public Practice Committee (including Chair), a past member of the ASIC Business Advisory Committee, past member and past chair of the CPA VICPAC taskforce and has represented CPA Australia at ATO meetings. He has also presented at CPA events on tax and superannuation matters. Simon is currently a CPA Quality Assurance reviewer with CPA Australia. 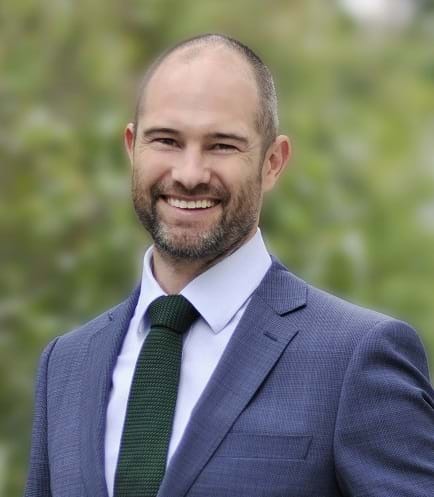 Simon has a Bachelor of Business from Deakin, Diploma of Superannuation Management, Diploma of Financial Planning and Maters of Tax through University of Melbourne. Anita Trengrove is co-General Manager of Barwon Timber, Bar-Truss, and Drysdale Timber & Hardware. She works closely with her brother, Brent Trengrove, who is also a co-General Manager. Together they lead a management team with representatives from all areas of the businesses. Anita has over 10 years’ experience working full time in the timber and hardware industry and has taken on a range of roles and positions at Barwon Timber and Bar-Truss prior to becoming a co-General Manager. She holds a position on a timber industry committee for industry promotion and advocacy. Before working in the timber and hardware industry, she was a registered landscape architect working in Melbourne and London. Anita has been a member of the award submissions teams for both winning Barwon Timber entries into the Geelong Business Excellence Awards in 2013 and 2015. Barry J Cooper is Professor of Accounting and Associate Dean - Engagement in the Deakin Business School at Deakin University. He has previously been Head of the Accounting Schools at Hong Kong Polytechnic (1987 – 1991) and RMIT University (1993 – 1997) and also National Director – Member Services of CPA Australia (1998 – 2000). He returned to RMIT University in 2001 before moving to Deakin University in 2007, becoming Head of School (2010 - 2014) before taking on the Associate Dean role in 2015. Barry is a Fellow of CPA Australia and a Fellow of the global accounting body, the Association of Chartered Certified Accountants (ACCA). He is also a former member of Council and Past Global President of the ACCA, an international professional accounting body with over 200,000 members. During his career, Barry has also worked in chartered accounting and run small businesses in building and agriculture. Bill Winter is an experienced and respected family business advisor, strategic planning workshop facilitator, private company director, past business owner, NFP board member and chairman of a round table of regional business owners. Bill sits on family business boards as an external advisor. His background includes business ownership, corporate CEO, private company interim CEO, dispute mediator and a listed mentor at the Australian Institute of Company Directors. He is vice Chairman of the Food & Agribusiness Network G21 Region and is Chairman of the Irish Australian Chamber of Commerce National business awards. He always encourages private business owners to enter business awards as it enables them to better understand their purpose and future vision. He is a facilitator for Business planning workshop at Small Business Victoria and has presented throughout regional Victoria. Daryl has held various CEO roles in not for profit organisations over 25 years including 15 years as CEO of Karingal (now genU). Currently Daryl is Deputy Chair of the Western Victoria Primary Health Network Regional Integrated Council, an advisor to a private equity company, a leadership mentor, a judge for the Geelong Business Excellence Awards and a Board member of Bethany Community Support and also the Rotary Club of Geelong. Jessica Cotter, Communications and Community Engagement Manager at Viva Energy’s Geelong Refinery, brings over twenty years work experience to the judging panel after working across multiple sectors in the course of her career including corporate, government, small business and not-for-profit organisations. A progressive and solutions-focussed marketing communications specialist, Jess is skilled in strategic planning, campaign management, professional copy writing, event planning, project management, social and digital media and traditional media/PR. Tertiary qualified with a Graduate Certificate in Marketing (RMIT) and under-graduate degree majoring in Public Relations and Management Communications (Deakin University), Jess is a true "people person" who relishes challenges and always aims to exceed expectations in delivering on any task and through optimising outcomes of community engagement initiatives. Jodie Dunn, Director and Principal HR Consultant of Envisage HR Solutions, has over twenty years of HR / Management and Recruitment experience in various Senior HR, Consulting, Management, Advisory and Recruitment Management roles. Jodie’s philosophy is simple. She is passionate about People. She is a well-qualified, experienced, and business focused professional with a proven ability to mentor, coach and drive optimal performance and productivity of a team at an operational and strategic level. Jodie works closely with her clients on Retention Strategies, HR Audits, DiSC Profiling, Organisational Restructures, Employee Engagement Surveys, Performance Reviews, Career Progression Plans, Workforce Strategies, Developing HR Strategies, Performance Management Strategies, Improving Culture, Leadership Mentoring and Coaching and Recruitment to name a few. Jodie has led many successful teams, and combined with her HR, Leadership and Recruitment Consulting skills, guarantees her clients receive wide ranging HR Services. Keelie commenced in her role as the Director Industry and Student Engagement, The Gordon in March 2016. Keelie has a 20 year background in community, business and industry engagement substantively in Local Government. Previous roles include Manager Enterprise Geelong. Co-ordinator Armstrong Creek Urban Growth, and Co-ordinator Ancillary Services in the Aged and Disability area. Current committee roles include Judge Geelong Business Excellence awards, WynBay LLEN, Northern Futures Community Advisory Committee; previous roles include Chair of the G21 Economic Development Pillar, Deputy Chair GRIIF Taskforce and Chair of the Land 400 Steering Group. Keelie is also the Patron of the Geelong Life Activities Club, a role she has held for almost 2 decades. Despite Nicola living in Geelong for 16 years, she has only worked in Geelong for 3 of those years. She has very quickly established an solid understanding of the Geelong business community through her role as Manager, Stakeholder Engagement & Communications for WorkSafe. She played a large part in the project team for integration of WorkSafe to Geelong and was heavily involved in all local partnerships. Nicola spent the majority of her childhood in Perth where she completed a degree in Asian Studies, with a double major in marketing and Japanese. 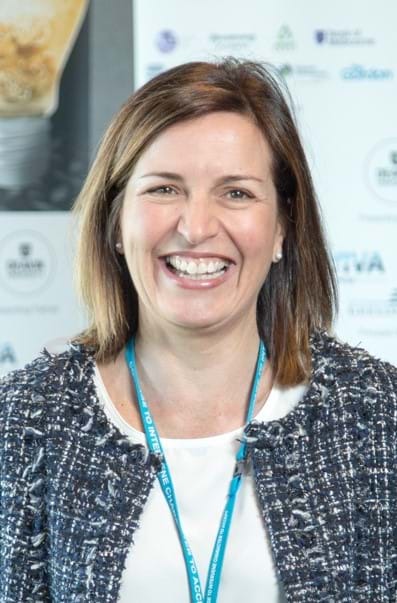 She has spent time in the energy, water and mining sectors and in trade & investment with those roles seeing her work in Perth, London, Port Hedland, Melbourne and now Geelong. She loves to be active and takes her love of sport to the Boardroom where she is a commissioner for AFLBarwon. She has been involved in the judging for the Give Where You Live grants and Pako Festa! Outside of working life, Nicola enjoys spending time with her family, reading and travelling. Paul brings experiences as in-house counsel, private legal advisor and business owner to his role as a Principal Lawyer with Hardwood Andrews. He has previously managed the legal function for Telstra’s marketing and media portfolio, enterprise and government sales and legal technology transformation. Before that, he managed a heady mix of operational and strategic matters as the inaugural manager of a start-up sports engineering business with operations across Asia, Europe and North America. Aligning with his philosophy that good professional advice can be transformative to business, being involved with the Geelong Business Excellence Awards provides an opportunity to celebrate the talent and hard work that enable businesses to grow from good to great. Peter Temple is the General Manager of the Torquay Bowls Club. With a background including roles in sports coaching, policing, allied health, publishing, hospitality, management consulting and sports administration, along with not-for-profit board positions in youth welfare, education, drug and alcohol, the arts, tourism and public health, Peter’s diverse management experience allows him to assess businesses from a unique perspective. He has worked as an entrepreneurial sole operator, the proprietor of small enterprises, the manager of a family business, and in operational management roles both medium sized enterprises and large multinational companies. Peter holds tertiary qualifications in management, finance and economics. Tez Kemp is the managing director and owner of La Madre Bakery, a supplier of award winning artisan breads and pastries to the hospitality industry since 2003. In 2018, Tez and his team at La Madre undertook one of the largest relocations of an artisan bakery in Australia with the entire operation moved to a purpose built state of the art facility in South Geelong. Prior to taking the helm at La Madre, Tez was based in London where he spent ten years in Sports Marketing representing blue chip brands McDonald’s, Hyundai, MasterCard and Emirates in Europe, Middle East and South Korea. A three-time category winner, La Madre was inducted into the GBEA Hall of Fame in 2013. Tez has been on the GBEA judging panel since 2015. Tina Perfrement has worked with businesses and the public sector to improve performance through sustainability, in Australia and the UK. Her approach is both strategically driven and practically focused; this is reflected in her achievements over a 19 year career. Tina has been involved with developing markets for sustainable goods and services for most of her career. 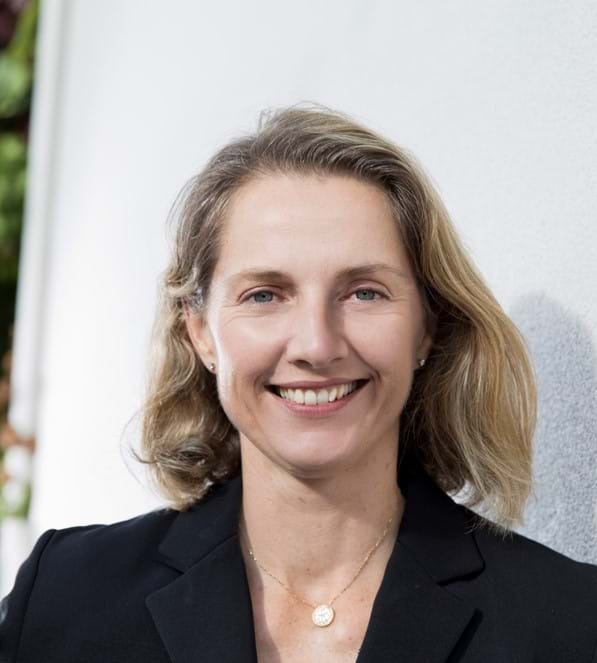 Most recently she’s been working on a partnership program to inspire opportunities for clean technologies through her work at the City of Greater Geelong. The Cleantech Innovations Geelong program has resulted in job creation, skills development, and business expansion outcomes for the Greater Geelong economy. 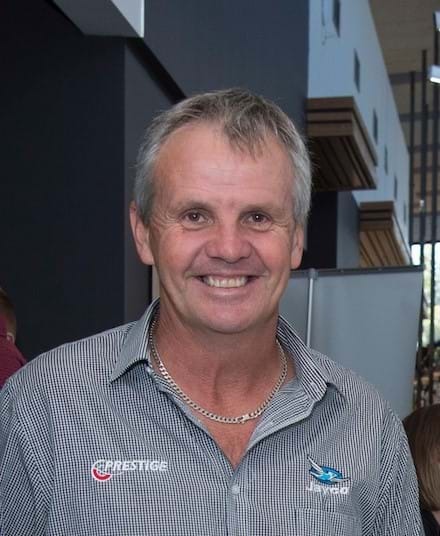 Tony Spence, Director and General Manager of Prestige Jayco (Geelong & Bendigo), a family owned company that recently celebrated its 30th year in business. Previously Tony worked with Australia Post for over 20 years in various roles in both Mail Centre and Delivery departments and has studied at Deakin, Victoria University and Harvard. Tony is in his second year as a judge for the Geelong Business Awards after being a long term entrant with Prestige Jayco. 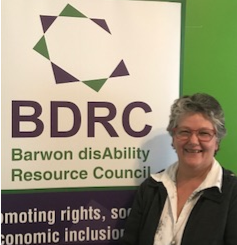 Glenda Dowling has over 18 years’ experience at Barwon Disability Resource Council (BDRC) involved in access issues and was formerly involved in the event industry. Glenda has been a key team member of the then BDRC/Alcoa Access Awards and assisted development of a model for accessible event organisation. Glenda’s access work has also included assistance for business and compilation of BDRC/City of Greater Geelong’s Access Map and Mobility Directories. Justin Dry is an Entrepreneur, Investor and Co-Founder + CEO of Vinomofo, one of Australia’s fastest-growing companies. Winners of Fastest Growing Company at the Deloitte Tech Fast 50 Awards 2013, Online Business of the Year at the Australian Startup Awards 2014, Best Startup at the SmartCompany Startup Awards 2014, Online Retailer of the Year 2015 at the ORIA’s, Telstra Business of the Year - Victorian Telstra Business Awards 2016, Hot Innovator 2017 at the Power Retail awards and Hottest Aussie Online Retailer and Ecommerce Company of the Year in 2018, Vinomofo is focused on expanding globally in 2018. Justin is a proven game-changer in the wine industry, taking on retail giants and challenging the ‘Bowties and BS’ attitudes of elitist wine snobs. Awarded Spotify Young Entrepreneur of the Year at The Australian Startup Awards, Justin is a BRW Young Rich Lister and has been named one of the Top 50 People in E-Commerce 2016, 2017 and 2018 by Internet Retailing. Justin is a regular on TV and radio shows which have included Squawk Box - CNBC Asia, Bloomberg Asia, Sky News Business, The Business - ABC, Channel 9 News, Insight – SBS, The Entrepreneurs Show – Sky Business and was one of the stars of the film ‘The New Hustle’ – a feature-length documentary that follows the personal journey of three of Australia's most successful startups.